I didn't want to buy the whole wave of recent Captain Marvel figures, so I was glad this standard issue Captain Marvel came two per case without any BAF parts. 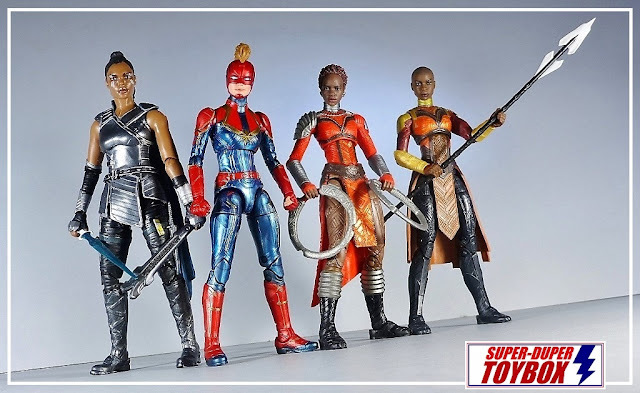 I am on the lookout for Target's exclusive Starforce edition with parts for a Dr. Minn-Erva however, maybe two. Don't get me wrong, I like the Kree Sentry BAF from this wave, but have minimal interest in the rest of the wave. If you only buy one, get this one. 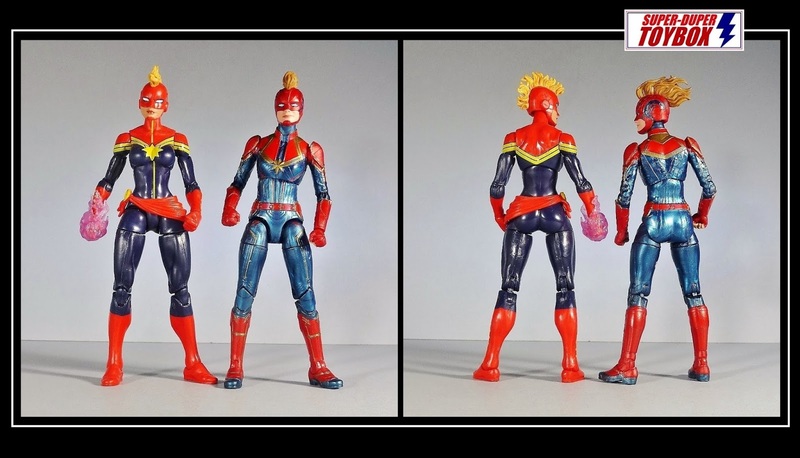 Below, the 2019 Marvel Legends Captain Marvel with my 2015 Captain Marvel. 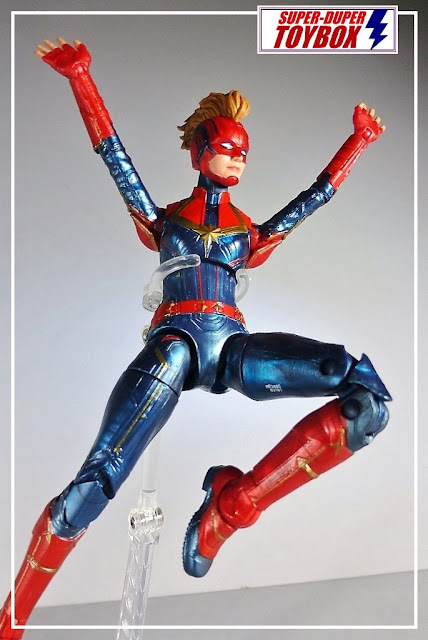 While I love the update/movie treatment, my love for the first one isn't diminished, in spite of it's simpler sculpt and deco. I've heard some gentle complaints regarding the paint apps, but this sample is passable. 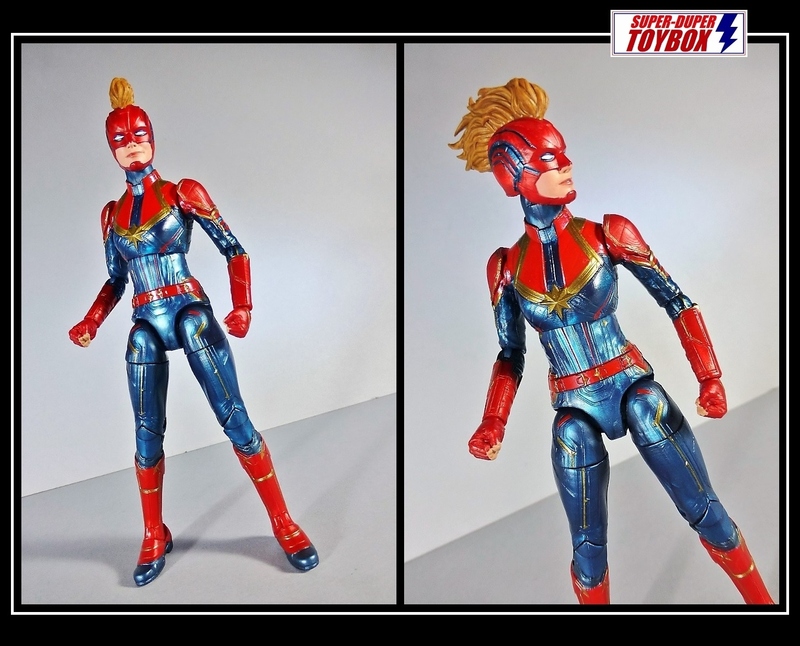 I mildly resent the lack of blast effects accessories, more so because there will be a forth Carol Danvers/Capt. Marvel figure that will include them. Just sell us accessories packs, Hasbro -you're dropping the ball. Nerds would pay handsomely for these as an online exclusive. Big Bad Toy Store? 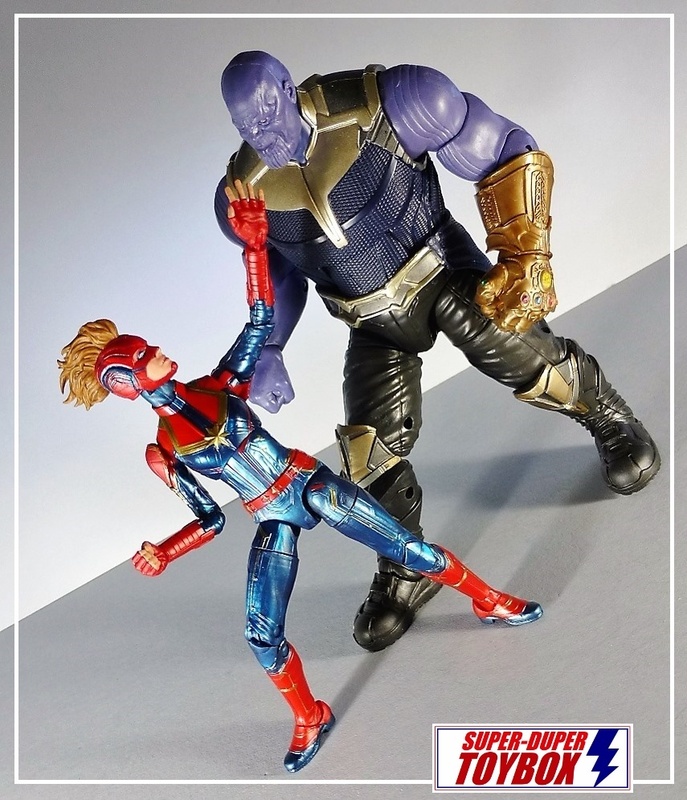 And this post pretty much has to feature a smackdown with my Infinity War Wave Thanos BAF, because this is what we are hoping for in the forthcoming Avengers: Endgame. 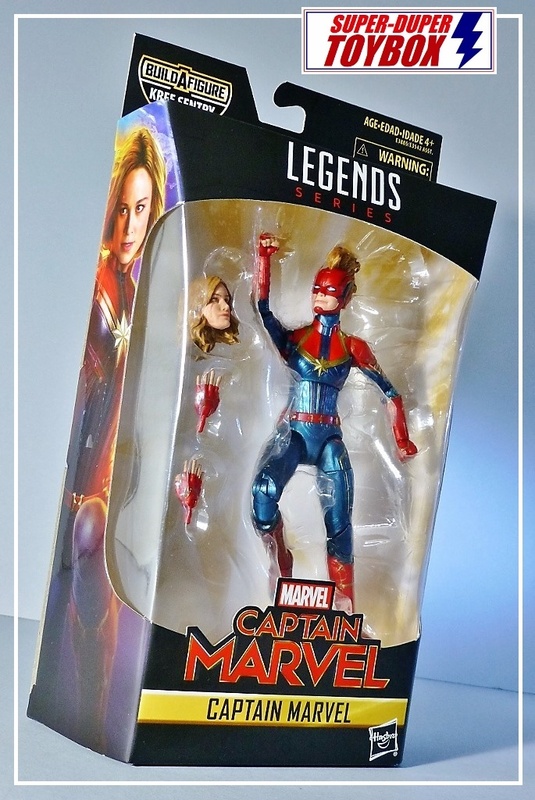 I love all the Marvel Cosmic characters being produced in the Legends line, thanks to Guardians of the Galaxy, Infinity War, and Captain Marvel movies. 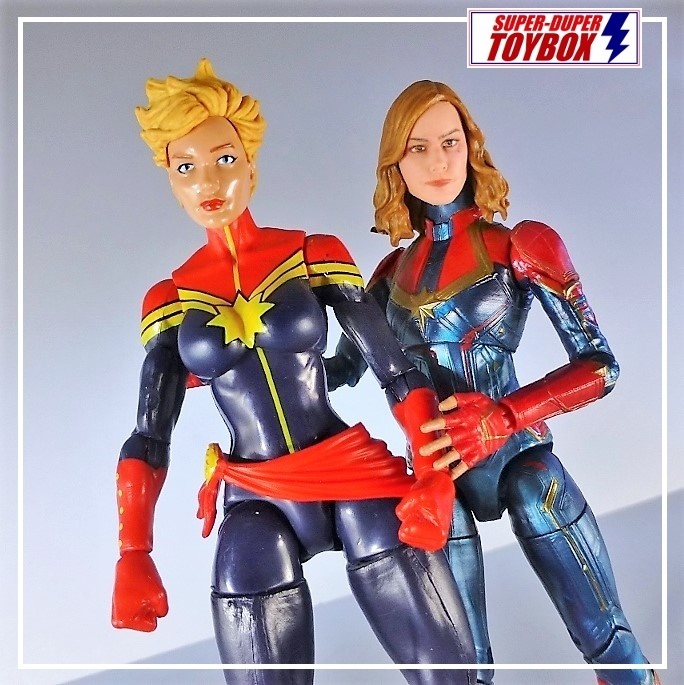 What a great time to be a Marvel fan!